Vast undisturbed forests stretching from lowlands to montane. Rarely visited and many discoveries still to be made. 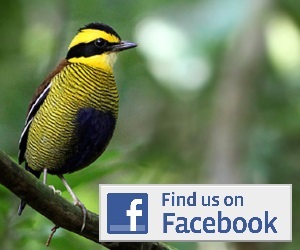 Famous montane and hill birding. Easily accessible forests with a good chance of almost all montane sumatran endemics. 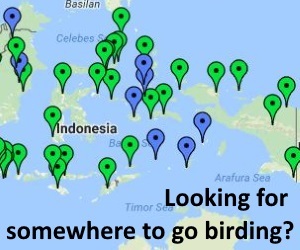 Some great sites near medan for coastal birding. Good for waders, big waterbirds and migrants. Not easy to get there, but perhaps the best wader site in Sumatra. Nordman’s Greenshank and Asian Dowitcher are regularly seen. Easily accessible lowland forest. White-winged Ducks, Storm’s Storks and some of the best night birding in Asia.